Winter romance! Ask about our "Couples Getaway" Just what the doctor ordered! Ice fishing – The Lakeside Motel is perfect for you! 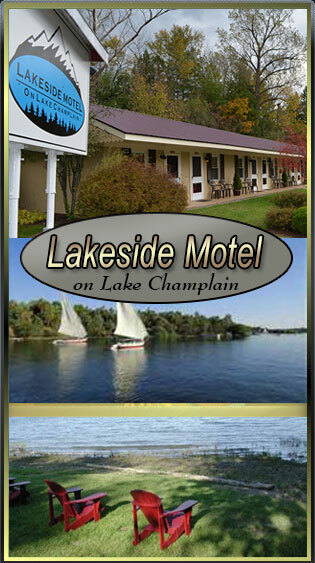 Located directly on Lake Champlain with open, spectacular views of Vermont and The Green Mountains. Catch northern pike, perch, crappie, lake trout, salmon, walleye and smelt.